Home > News > May 2016 Legislative Highlights! Here comes summer! Thanks again for your support and for contacting me regarding any issue you would like to discuss. I hope these newsletters are a good resource for tracking the work of the legislature as it continues during this interim period. Legislators received a presentation from the acting State Superintendent of Public Instruction on competency-based education. 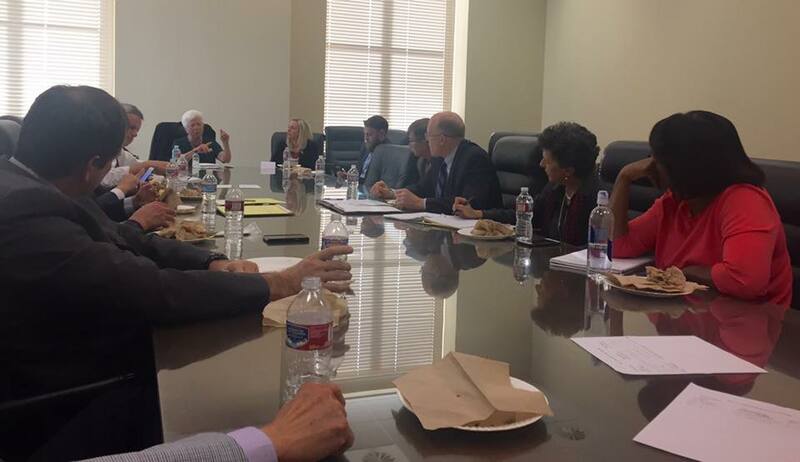 Received information from educators and students concerning competency-based education practices in the Juab School District and in the Innovations Early College High School in Salt Lake City School District. Received a report from the Department of Health and the Division of Occupational and Professional Licensing on the growth in opioid prescriptions since 2002. Received a statutorily required report from the Office of the Lieutenant Governor regarding the Election Day Voter Registration pilot project. 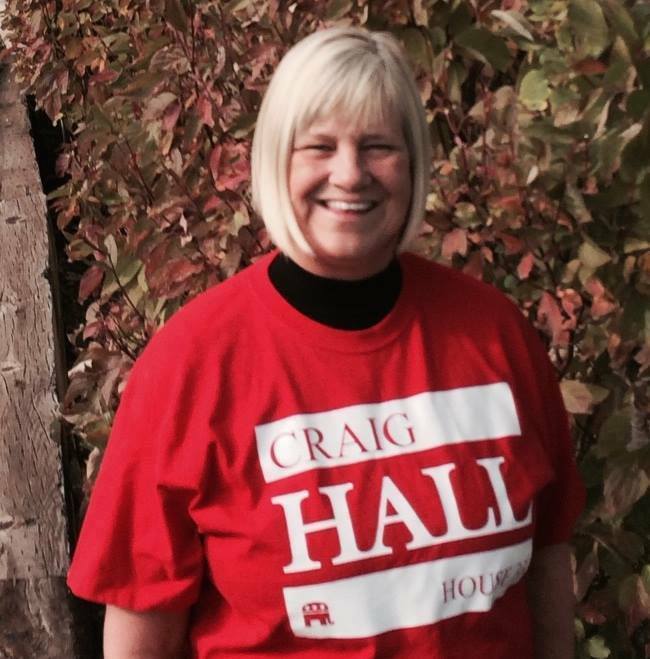 Rep. Hall - 2016 Business Champion! 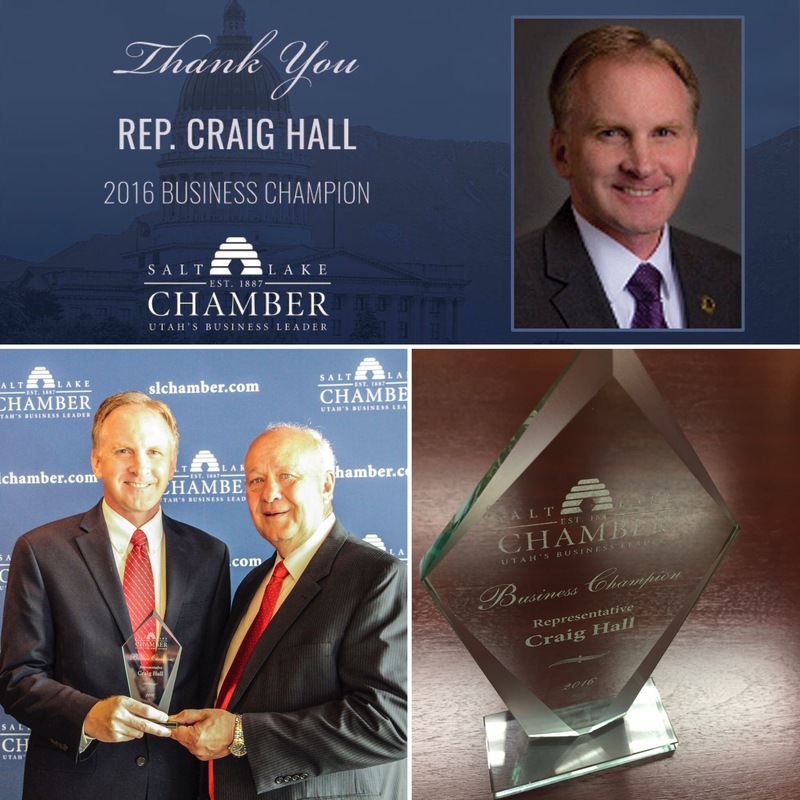 Thanks to the Salt Lake Chamber for recognizing me as one of their 2016 "Business Champions." Although we still have work to do, there's a reason Utah's economy is ranked by several major publications as one of the best. It doesn't happen by accident. Congratulations to District 33 High School Seniors - Scholarships! 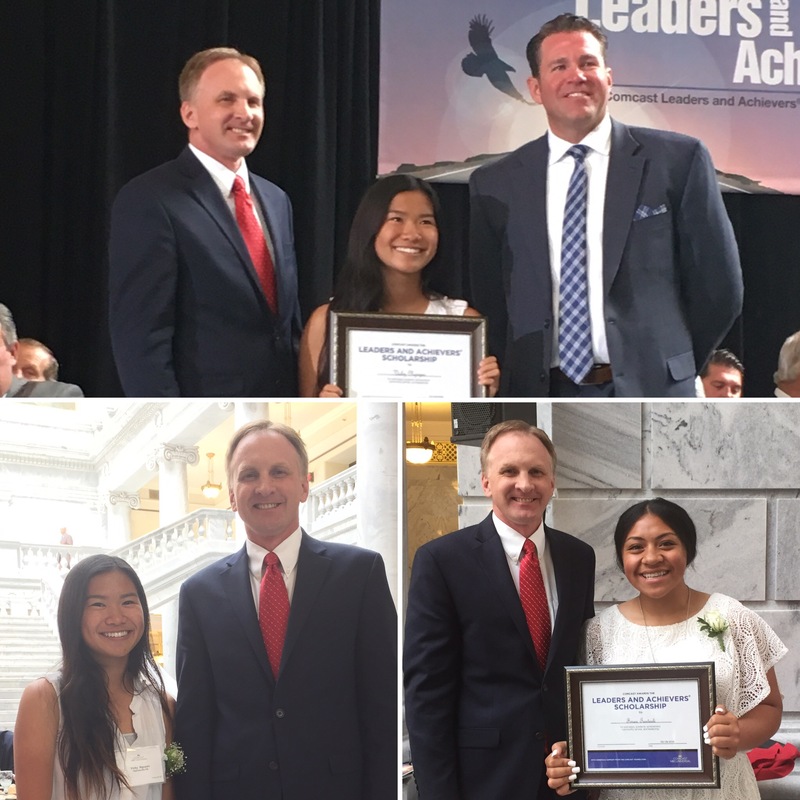 Congrats to Finau Tauteoli and Vicky Nguyen, both District 33 residents, who received scholarships from Comcast due to their stellar high school careers. Honored to be part of the lunch reception at the Capitol in their honor. We obviously have lots more work to do to clean our air. I'm grateful for this bipartisan "Clean Air Caucus" group that I'm a part of that is seeking real solutions to this issue. Republicans and democrats working together for a common goal. How novel. Thanks to those who attend for your efforts. May 3rd was National Teacher Appreciation Day. Let me tell you about one teacher that I'm personally grateful for. Here is a photo of my first grade teacher. Kathie Jorgensen taught me at Robert Frost Elementary school, where my own children have been taught. So thankful for great teachers like Ms. Jorgensen! Keep up the great work! 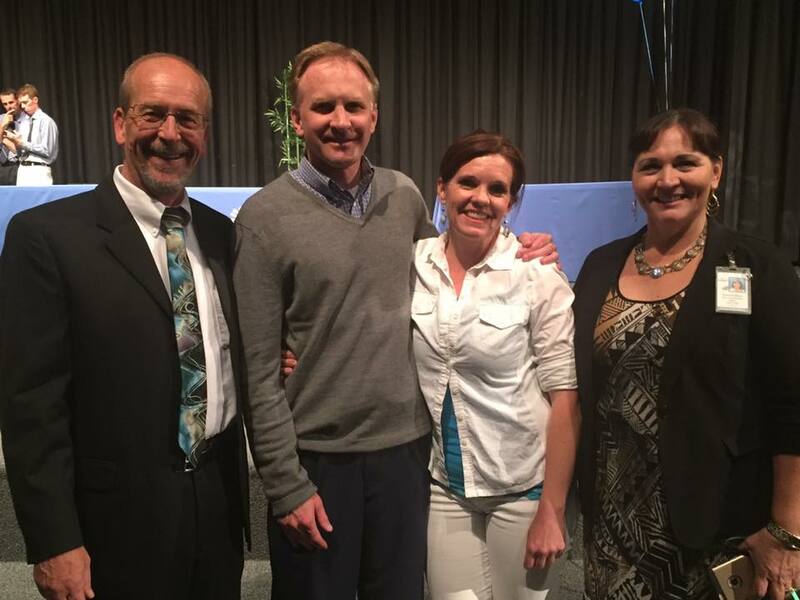 My wife and I attended the Valley Jr. High awards ceremony last week. We had to take one last photo with principal Mr. Holt and asst. principal Ms. Ibarra since they have been assigned to other schools next year. Mr. Holt has been the principal at Valley for 8 years! Thanks to both of them for all their hard work with the Valley students and good luck at your new schools. FY2016 - 2017 budget. 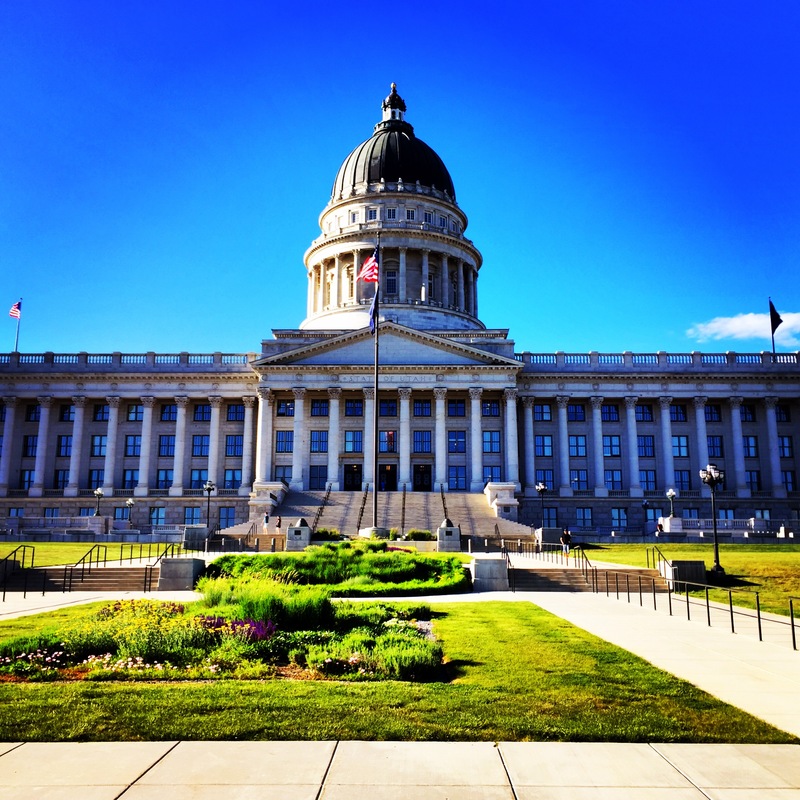 If you want to know how Utah will be spending its money over the next fiscal year, click here for a fantastic summary.